Polar-scope alignment app for iPhone & iPad. While this app was made just for myself to allow me to compensate for the centering error of my iOptron polar scope, it was released for the app store when I noticed it was actually more accurate than the other apps available, which either had miscalculations or were not calculating important factors like atmospheric refraction (see the Accuracy paragraph below for more details). As users appreciated the core functionality, I got numerous requests to support more polar scope types and add more features. I am pleased to say I have satisfied almost all of the requests with support of 18 different reticles covering various types of polar scopes and have added features to assist in any polar alignment situation. The Pro version goes beyond polar-alignment, with weather forecasts, lunar calendars, astro calculators, DSO database and more! So apart from the most accurate polar alignment app, it is now the most complete in scope support and most feature-filled. 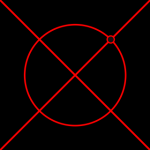 Wizard to calculate your reticle centering offset and correct or compensate for it. Good accuracy of Polaris / σ Oct position even in low latitudes (atmospheric refraction). Supports a multitude of polar scopes: iOptron, Astro-Physics RAPAS, various versions of Takahashi EM-10/11/200/400/500, NJP, PM-1, P2-Z, the latest Orion / Skywatcher, the Classic Skywatcher / Orion / Celestron / Meade / EXOS2 / Bresser, the Telrad, the old Celestron CG4/CG5 & Vixen Polaris, a couple for Astrotrac / Losmandy / Kenko/ Avalon, a Konus, the Tuthill Precision Polar Finder, the Explore Scientific 8×50 PolarFinder, the Meade 9×60 Polar Viewfinder and the Vixen Atlux, SX/SXD/SXP/AXD/GP/GP-DX/Polarie Polar Axis Scopes. Remember zero position on Celestron / Skywatcher / Orion etc reticles. Deep Space Object Database with Messier & Caldwell catalogs (subset of the larger Pro version database). Full app in red-color night mode. Works on iPhone/iPod/iPad from iOS 7.0. Ability to manually enter time/date/location. Location manager with favorite locations, online place/address search and offline world database (cities/towns of at least 1000 population). Lunar calendar with sun/moon rise/set/twilight times. Alt-az alignment error display for mounts that calculate it after star alignment (e.g. iOptron iEQ45, CEM60). Polar alignment when your scope is not in zero position (for mounts like iOptron ZEQ/CEM on which you can always access the polar scope or trackers like Skywatcher Star Adventurer). Deep Space Object Database with 13000+ objects from several catalogs (Messier, Caldwell, NGC, IC, Herschell 400, Sharpless 2). The database is searchable and fully configurable with filters, various sorting methods etc. iOptron, NexStar and Meade LX200 Star Lists. 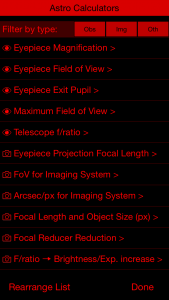 Over 20 calculators useful for observing and astrophotography, from eyepiece magnification and field of view, to imaging resolution and reducers. Bubble level (using either gyro or accelerometer) and Compass heading. Special version of Xasteria: World astro-weather report based on 7Timer! data. List of visible ISS passes and Iridium flares (Xasteria). -Graphic & Text display of polar alignment. -Bubble level (good for placing the phone on your tripod and looking at your watch while adjusting the legs). For a list of features added per version visit this page. Hit the settings button and choose one of the available reticles. 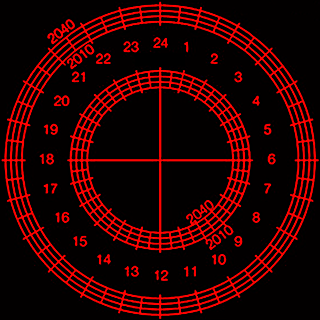 Currently there are 22 choices covering most reticles out there. If you have a different reticle that you would like to see supported, why not send me a photo and I will try to add it. Before using your polar scope for the very first time, you’d want to make sure its reticle is centered – i.e. aligned with the RA axis. Some mounts might ship with a perfectly aligned reticle, but most do not. 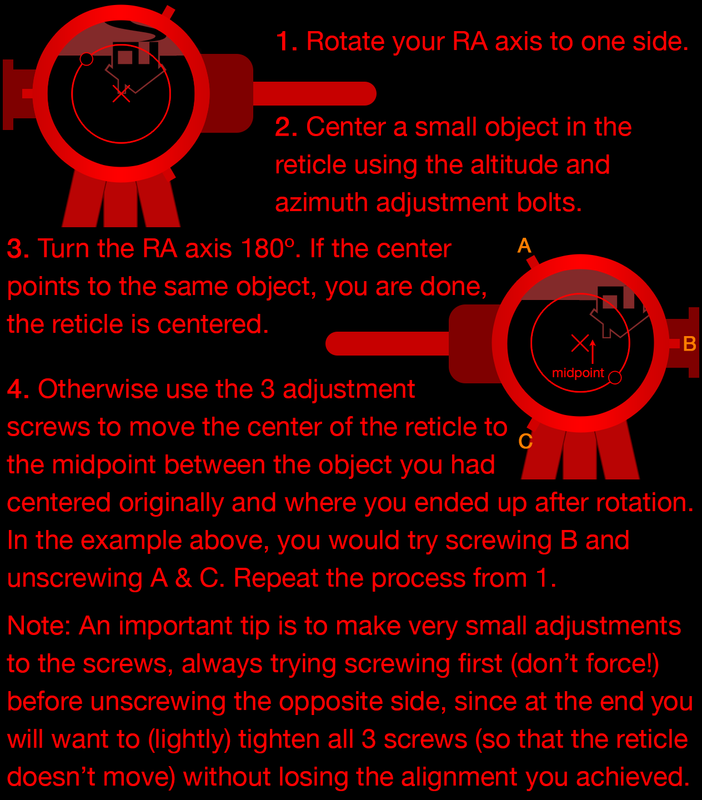 It is easier to do the adjustment during the day, so here is a 4-step process which you might have to repeat at least a couple of times until an object stays dead-centered in your polar scope when you rotate around the RA axis. Before starting remove the telescope tube and the counterweights (and for some mounts rotate the DEC axis until you can see through the polar scope). 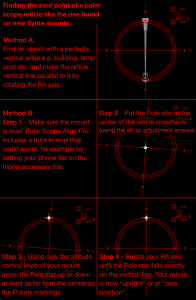 Before beginning the polar alignment procedure for your polar scope type you will want to set up your scope with your RA axis points roughly to the Celestial Pole, so that you can see the Pole Star when looking through your polar scope. The process then varies depending on your mount / polar scope, a brief description for the various types follows. For more up to date instructions see the “Reticle Instructions” link in the Settings screen of the app. You don’t have to repeat the above procedure for every session. If you make sure your mount is always level and the date/time/location correct, starting from Polar Scope Align v2.5 you can press “set zero point” and enter the RA shown on your hand-controller at that instant. Polar Scope Align will then always show you the RA to rotate to using the hand-controller keys to get to the upright reticle position. 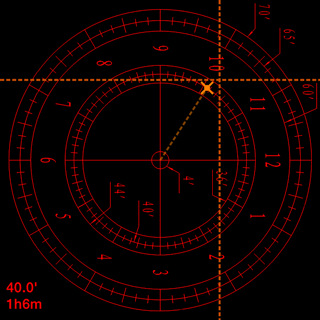 After making sure the reticle is upright/level (meaning the 12 hour line is exactly vertical), you simply have to match the app’s pole star position marked with a yellow X to your polar scope view, using the altitude & azimuth adjustment knobs of the mount. 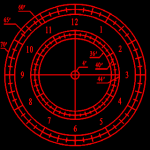 Note that if your reticle has year markings, the Polar Star position might not be exactly where the you would expect it based on these marks. This is normal, as the app calculates the effect of atmospheric refraction for your location and adjusts for more precise polar alignment. See the FAQ entry. Start by setting the offset scale on the RA housing to the value shown on the upper left of the reticle and leveling the reticle (your RA axis should have a bubble level for that). 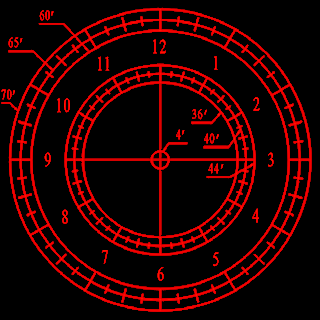 Next, you must match the current time in the inner circle to the reticle’s date circle. Note that you should use your local time zone (as long as it is not more than 15 degrees from your location) minus daylight savings (the time and time zone you should use is shown on the upper left of the app’s reticle for convenience). 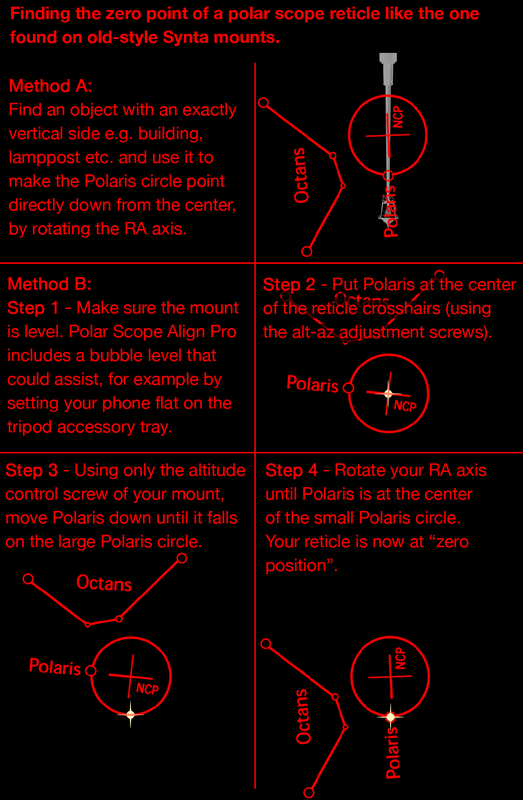 After these steps you should have matched the app display and all you have to do is use the altitude & azimuth adjustment knobs to put polaris at the precise location shown on the app. Note that the Polar Star position might not be exactly where the you would expect it based on the Year marks. This is normal, as the app calculates the effect of atmospheric refraction for your location and adjusts for more precise polar alignment. See the FAQ entry. 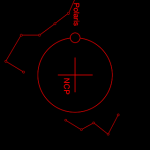 The most common reticle is very minimalist (just a small circle denoting polaris and a large denoting its trajectory around the NCP) and found in various mounts from Skywatcher, Celestron, Meade, Orion, Bresser etc. At least Skywatcher and Orion have moved away from this reticle, however for the many people who have them Polar Scope Align gives you the tools to achieve decent precision, even if the reticle is made to be rather approximate. Some very old mounts from the 80s/90s might have a version without the large circle, but just a line featuring a small circle for Polaris and an arcminute scale – those can actually give you a bit extra precision. Now, if your mount has a resettable RA setting circle (e.g. Skywatcher HEQ5), lock the RA axis then loosen the RA setting circle setscrew, set it to zero and tighten. Look at the top left of the app reticle display. Turn the RA axis, using the top scale of the setting circle, to the the “Prev” hour angle shown (or you can use the bottom scale with the “Next” hour angle). However, if your mount has only a digital RA readout (e.g. a Celestron goto mount) or a fixed RA setting circle that you cannot set to zero, then you have to add the “Next” hour angle or deduct the “Prev” hour angle from the RA readout at zero position and move to it. In the below example, if at zero position (Polaris circle pointing down) your Hand Controller (or the RA setting circle) is showing an R.A. of 03h01m and the app reports Prev: 22:40 Next: 01:20, then you add 01:20 to 03:01 (or, a bit harder, deduct 22:40 from 03:01) to find 04:21 and use the R.A. +/- hand controller keys (or manually turn the RA for a non computerized mount) to slew to 04:21 R.A., at which position the reticle pattern rotation should perfectly match what is shown in the app. The app can help you with the calculation if you wish: Click the “Set zero position” and enter the R.A. at zero position (the 03h 01m in the previous example) press Done and the app will show the “Zero adjusted” reading, to which you can rotate your RA axis. 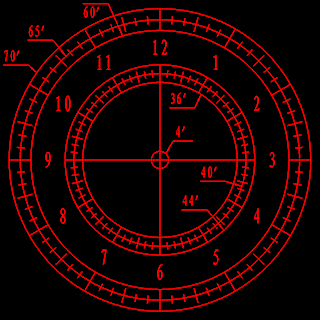 The nice thing about this feature is that if you make sure you always level your mount and have the right time/location (for GoTo mounts), you will only need to “Set zero position” once – the next time going directly to the “Zero adjusted” position should give you the reticle at the correct orientation for alignment without the process of checking whether the reticle is vertical etc. Please not that some mounts may need to be star-aligned at least once before using the “Set zero position” feature in order for the zero position setting to be repeatable. At this point, for both above cases, your reticle is correctly rotated and all that is left is to use the altitude and azimuth adjustment knobs of the mount to match the Polaris position in your reticle to the app display. 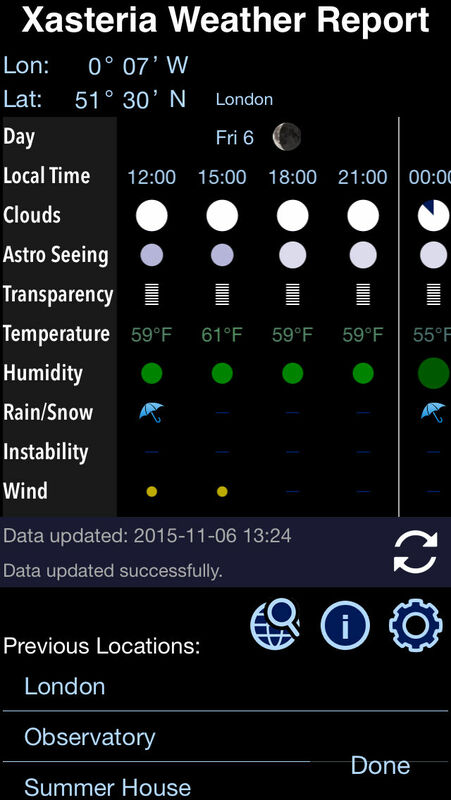 You will note that the yellow Polaris position mark on the app might not fall in the Polaris circle. This is because Polaris moves closer to the celestial pole as the years pass, so to improve precision you will have to try and match that movement. 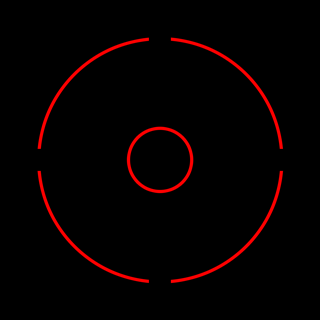 If your reticle has an arcminute scale (usually 40′ to 60′), use the top value on the lower left of the app reticle. If your reticle does not have such a scale, you can try to match the app display visually. 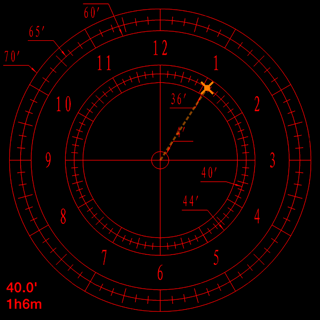 Note that the app shows an epoch 2000 reticle where the Polaris circle is 44′ from the pole. It is possible that your mount might not be showing epoch 2000 (mine was a bit off), so Polar Scope Align now has a function that allows you to calibrate the epoch of your reticle so that the app will show you the most accurate display possible. To do this, you will have to polar align via another method, preferably drift alignment, otherwise a careful Celestron all-star polar alignment might do it – see the “Calibrate Epoch” function on the settings screen after you have selected the “Classic” reticle. Please note that the Prev/Next values shown are optimized to give you the best precision, so they include the effect of atmospheric refraction, thus should not be assumed to be exactly indicating the Next or Previous Polaris peak as you might expect (or as you might find in other apps). 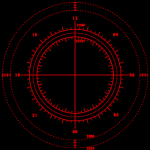 This type of reticle is found in the Astrotrac, Kenko Sky Memo and some other mounts like the Losmandy G11. 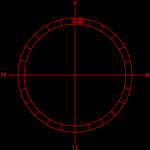 In general this reticle type is not designed to offer the precision of more advanced reticles (the polar scope view is lower magnification), however, Polar Scope Align will improve your precision, especially if your mount has RA axis setting circles (or an RA digital readout). You would have placed Polaris where the orange X mark is located. 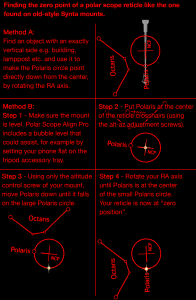 Using the altitude adjustment move your mount downwards, so that Polaris moves up (the polar scope is inverted) to where the pinkish cross is located to correct for the refraction effect at your latitude. At this point all that is left is to use the altitude and azimuth adjustment knobs of the mount to match the Polaris position in your reticle to the app display. 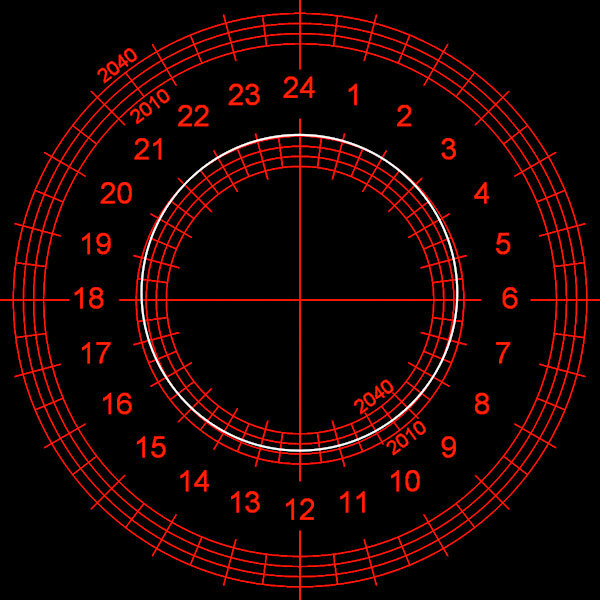 Note that you might have a version of the reticle with different year markings for the Polaris line gap, the year number indicated on the lower left of the app reticle should help you with the proper positioning. 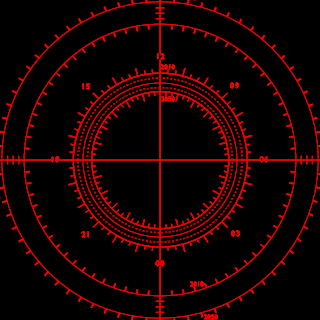 This reticle was used on the Meade 9×60 (and the less common 8×50) Right Angle Polar Viewfinder, usually with the 2080 and 2120 fork mounts. It came with a “Polar Reference Circle” card for calculating the position of Polaris for epoch 1975-1995. If you have a straight-through version (not sure if it exists), you’d need to switch to “inverted” in the advanced settings. Polar Scope Align simply replaces Meade’s Reference Circle, so you follow your manual’s instructions by making sure the Polar Viewfinder is aligned with the telescope tube, then setting the declination to 90 degrees and rotating in RA until one of the cross hairs is exactly vertical to the horizon. Finally, you try to match the Polaris position on the Viewfinder to the Polar Scope Align app display by moving the telescope in altitude (the wedge tilt plate) and azimuth (wedge rotation). 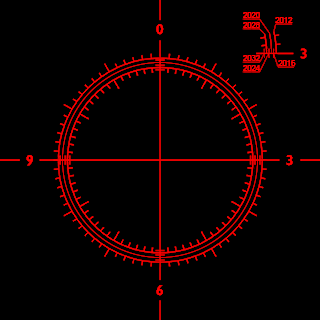 Northern Hemisphere: Start by setting the East/West offset (distance from standard time meridian) indicator to the value shown on the upper left of the reticle (turn the eyepiece while holding the date circle). Next, by rotating the eyepiece you match the observing time with the date graduation circle. Note that you should use your local time zone (as long as it is not more than 15 degrees from your location) minus daylight savings (the time and time zone you should use is shown on the upper left of the app’s reticle for convenience). Make sure the Polar scope is level (use the supplied water/bubble level). After these steps you should have matched the app display and all you have to do is use the altitude & azimuth adjustment knobs to put polaris at the precise location shown on the app. Note that the Polar Star position might not be exactly where the you would expect it based on the Year marks. This is normal, as the app calculates the effect of atmospheric refraction for your location and adjusts for more precise polar alignment. See the FAQ entry. Southern Hemisphere: The Vixen reticle does not normally offer precision when aligning σ Octantis. However, Polar Scope Align offers a method that should get you to within 2-3′ from perfect polar alignment. All you have to do, is to align the date circle and the time circle on your polar scope exactly the way shown on the app display (while keeping the East/West offset to zero) and make sure it is level using the integrated bubble/water level. Then, you position σ Oct in a way matching the app display as best as you can. You will note that the σ Oct yellow target is probably farther away from the center than the little circle meant for it. This is because apparently the Vixen Polar Axis Scopes sold at least up to the mid-2010’s are drawing σ Oct in the 1995 epoch, when it was closer to the South Celestial Pole, so you should try to match that offset when polar aligning. Since the supported Vixen GP reticle is epoch 2000 (which is around the year when Polaris would fall near the center of the little circle – at least for not too low latitudes), you will actually achieve better accuracy by using the “Older Skywatcher / Celestron” reticle available in the app. 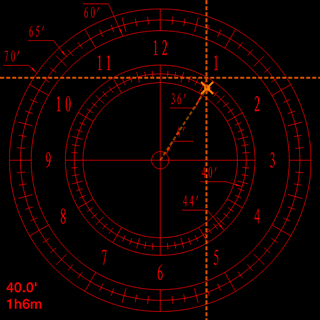 In that case you will follow that reticle’s instructions which involve finding the position where the Polaris line points exactly down and from this point rotating the RA (using the 24 hour dial as reference) by the amount shown on the top left of the app reticle (“Prev”) – see that reticle’s detailed instructions. It is still possible to use the Vixen GP polar scope with the original method if you prefer (but only for the Northern Hemisphere). 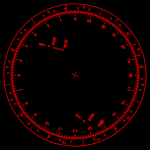 In this case start by setting the time meridian offset scale to the amount towards E or W that the app calculates and shows on the top left of the reticle. Set 0 hour on the RA hour ring to the RA indicator after loosening the setscrew, then re-tighten the setscrew. Unfasten the RA clamp and turn the telescope to match the observing time with the observing date, as shown on the app reticle display. 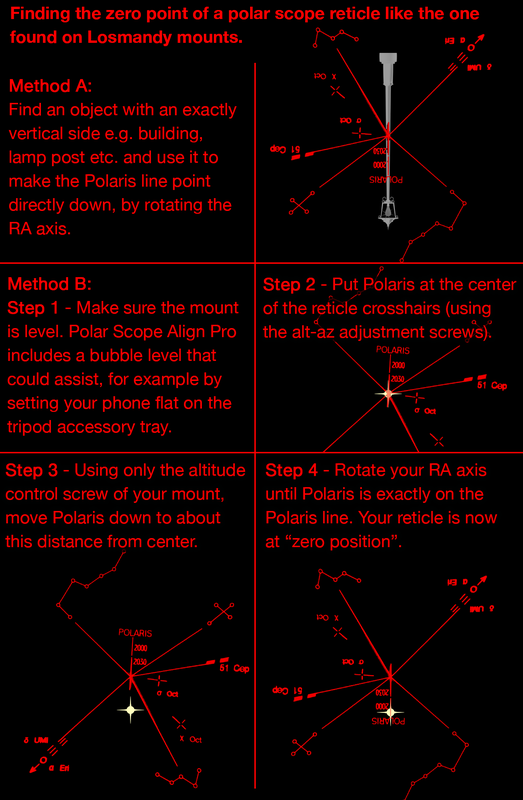 Using your altitude/azimuth adjustment bolts match the Polaris position in your polar scope compared to the Polaris circle, to what the app shows. As noted, Polaris will most likely not be inside the circle. To use the Telrad as a polar finder, apart from aligning the Telrad to your optical tube, you also have to align the optical tube precisely with the RA axis. This might not be easy for a German Equatorial, however for a typical SCT fork-style mount, it involves finding the exact DEC position (theoretically at 90 degrees) where rotating the RA axis rotates your view around the center of your telescope eyepiece (and thus the Telrad, aligned to the telescope). After achieving this, you only use the azimuth and altitude (wedge bolt for fork mounts) controls to put Polaris at the proper position on your Telrad sight, without touching the DEC control. While you can use the Polar Scope Align display just to get a rough idea of where to put polaris in your sight, you can increase your accuracy by rotating your RA by the amount shown on the upper left (given for both directions) and using the top gap of the Telrad middle circle to better judge the Polaris position. 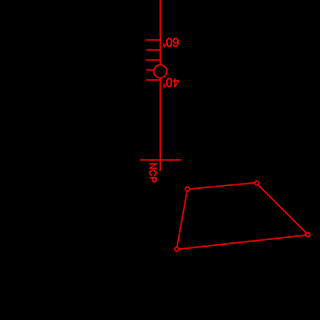 The Tuthill manuals gave a method to calculate the angle to which you would rotate the sight depending the date/time and location. 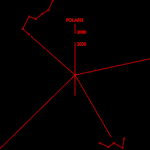 Since those manuals were using the location of Polaris in the 80’s, they are no longer applicable, but you can rely on Polar Scope Align to give you the correct angle. One problem is that the Tuthill finder was adjusted for a specific epoch, so with Polaris getting closer to the celestial pole as years pass you will be aiming further away from the celestial pole, unless you try to compensate (for reference, Polar Scope Align draws an epoch 1990 sight which might or might not be close to what you have). It would be possible to adjust your Tuthill to the current epoch. One way to do it without any special equipment requires you to first do a precise drift-alignment of your scope. 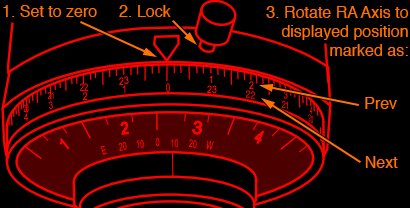 Once you complete the (not very easy) drift-alignment process, rotate the Tuthill dial to the setting that Polar Scope Align shows at that moment of time and use the adjustment screws (the ones that the manual warns you about touching) to bring Polaris to the center of the cross-hairs. I do not own a Tuthill, so I do not know how easy this procedure is, but in theory it should allow you to adjust your Polar Finder to the current epoch. 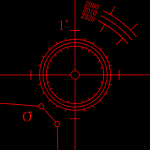 Going to Settings and hitting “Calculate Polar Scope Reticle Centering Error” will start a wizard which you can follow to both calculate the error and also correct it for more accurate polar alignment. Try to complete the entire process in 2-3 minutes for best results. Position the polar star where the display shows you in your Polar Scope reticle by adjusting your mount’s alt-az controls. Try to be as precise as possible. Press Next > on the app. Rotate your RA axis exactly 90° counter clock-wise (as you are looking towards the Pole), so that the reticle line that was horizontal and pointing to the right, now points upwards. Swipe your finger on the app reticle area and move the dashed cross so that it centers to where you currently see the polar star in your reticle. Try to be as accurate as possible, but don’t take too long – you don’t want the polar star to have moved much in the meantime. Hit Next >. Rotate your RA axis exactly 180°. You should now be 90° clock-wise from the original position, so that the reticle line that was horizontal and pointing left is now pointing upwards. 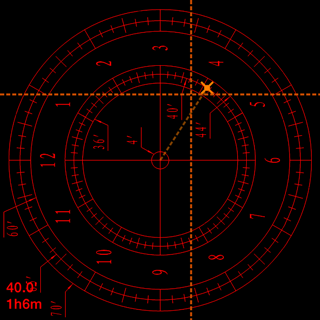 Move the dashed cross again so that it targets where the polar star shows up in your reticle. Again be as accurate and quick as possible. Hit Next >. The app will have calculated your centering error. 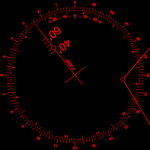 If it is more than 1.5 arcminutes, a correction will show up as a dashed cross. Return your RA axis in its original position. You now have two options. If your reticle can be easily adjusted: Use your mount’s Alt-Az controls to position the polar star in your reticle exactly where the center of the dashed cross would indicate. Then use your polar scope reticle adjustment screws to move the polar star to where the regular calculated position (marked by an orange X) would be. You can re-run the wizard to verify you no longer have a centering error. If your reticle cannot be easily adjusted (e.g. iOptron ZEQ25): After hitting “Done” to accept the correction, your app reticle display will always have a “corrected” dashed cross. Just use this as your polar star target for polar alignment instead of the regular (orange “X”) mark, to compensate for your centering error. 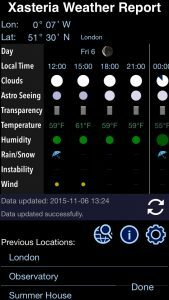 Polar Scope Align Pro contains a version of the free Xasteria World Weather Report, with the addition of the ability to switch to night-mode (with a dimmer as well like the rest of the app) and the support of the location manager with the ability to search for locations (online or offline) and save them as favorites. For more information about the weather report, see the Xasteria page. The DSO Database contains over 13000 objects from several catalogs in the PRO version, while it has the Messier and Caldwell catalogs for the non-pro versions. You can filter the list by catalog, object type, position, brightness etc and sort them any way you like. Several filters are available to hide objects that are of no interest. For example, limiting altitude to 0 degrees will only show objects that are over the horizon at that moment (or you might want to use something like 15-20 degrees since objects too low don’t make great targets). You can limit by minimum magnitude, brightness and angular size, however be aware that this type of data is not available for all objects. For example, surface brightness is available mainly for galaxies, to still show the rest of the objects when you are filtering by minimum surface brightness use the “Show when missing data” option. Various sorting options are also available, which can be applied in either ascending or descending order. Note that you can sort objects by distance from a specific object – just go to the object list, click to show details of an object and hit the sort button. You can reverse the order to descending distance, if you go back to the sorting configuration screen and click the “Descending” button. You can choose whether to prefer arcmin (‘) or arcsec (“) to be shown, as well as whether you want equatorial coordinates or alt-az in the list view. Multiple sources have been combined and cross-checked as much as possible for the DSO database. Among them: Dr. Wolfgang Steinicke’s Revised NGC/IC (with permission), Saguaro Astronomy Club, SIMBAD, VizieR, Courtney Seligman’s Celestian Atlas, Sloan Digital Sky Survey and more. Polar scope Align Pro assists you in daylight polar alignment, useful for solar observing / eclipses, or also for night-time alignment where you don’t have a line of sight to the polar star. See details in this blog post. This does not mean that you can find many other sources agreeing with Polar Scope Align and Stellarium*. Most apps in my experience have either significant errors in their calculations, or disregard atmospheric refraction (or both). 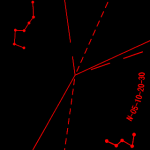 Another accurate and popular planetarium program is Cartes du Ciel, which actually includes aberration and nutation in the Polaris hour angle, but does not include refraction. This means that when you select “apparent coordinates“ in CdC and enable aberration and nutation but disable refraction in Polar Scope Align, you can match the hour angle within a couple of seconds. 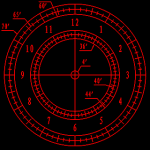 Also, Polar Scope Align matches the transit times calculated by the US Naval Office, so you can cross-check with that. * Strangely, newer Stellarium versions (0.15+) have changed their calculations and now can be up to a minute off compared to Polar Scope Align. As PS Align matches the USNO transit times and Stellarium no longer does, I am not very worried about the discrepancy. Plus, the difference with current Stellarium is so small that it is not actually visible in a Polar Scope. My own main phone is an Android, so I’d like to do an Android version at some point. However due to my regular job it was much easier for me to work on iOS where I had development experience – I’ve never worked with Android or similar. Hence I’d need to find quite some spare time to do it and that seems quite unlikely for the near future. Sorry. Go to your deviceSettings -> Privacy -> Location Services. 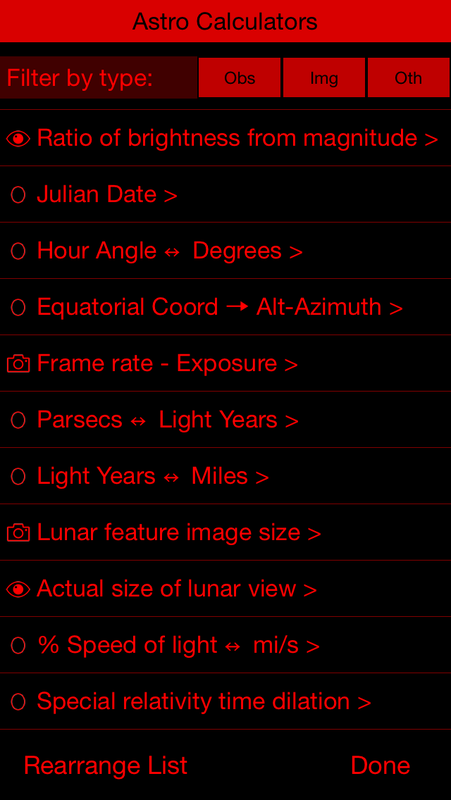 Make sure Location services is On, that Polar Scope Align Pro is listed as “While Using” (i.e. it is authorized to use your location) and then scroll down and go at the bottom to “System Services” and see if anything (esp. if it seems important) is disabled (e.g. 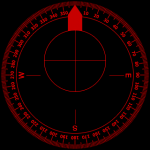 compass calibration, share my location). If you have the Pro version you can click the magnifier button on the bottom of the display which will zoom into the polar star position and let you further zoom in and out with the traditional pinch/pull gestures. Why is the date off by one day? Up to version 2.6 the main date/time fields are in Universal Time, so if you are not on the GMT time zone, your time zone date and the UTC date can be different for a few hours per day (e.g. if you are on EST, the app will switch to the next calendar date 5 hours earlier than your local time zone). This was by design, since setting up a scope in UTC can avoid confusion about time zones, DST etc. especially when you travel, and it was my own preference (I made the app just for me originally). From version 2.7 the app shows local time/date by default, with UTC shown under LST (and a day offset next to it). If you prefer the old style with a UTC main display you can still go to Setting->Advanced Settings and enable “Date/time in UTC”. Normally, iPhone apps rely on iOS’s radio-based location services which save battery and so does Polar Scope Align. However, if you travel to a rural area with no nearby cell coverage, you might want to turn on the GPS satellite location service for a while, which is what the “Force GPS” option will do. 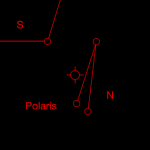 Example of corrected Polaris location for a latitude of 25° (e.g. Florida) for some time in 2015. Note this is an upright Astrophysics RAPAS reticle. Why is Polaris/σ Oct not moving in a perfect circle according to the app? / My reticle has “2010-2040” circle markings, why does the app deviate from those? / Why is the position I get with Polar Scope Align different from some other apps? The lower a star is in the horizon, the more it will be affected by atmospheric refraction. The phenomenon is due to the air density variations that the light from the star goes through before reaching you and has the effect of making the star appear higher than it really is. If you are at a latitude of more than around 45° the refraction is less than an arcminute, so you are not to worry about it. However, at lower latitudes it should be taken into consideration for accurate polar alignment, as it can reach up to 35 arcminutes near the equator. Some software do not do this calculation so they will give you slightly different results than Polar Scope Align, with the polar star always on a perfect circle around the celestial pole. 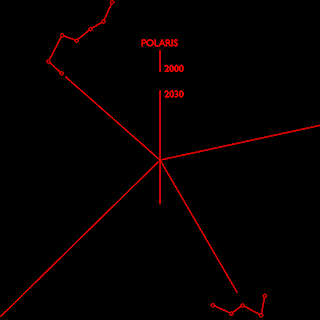 See on the right an example for someone observing from a latitude of 25°, with the white circle denoting Polaris’ location throughout the day showing an upwards offset (for a common straight-through polar scope the offset would be downwards). So, even thought it is 2015 you might have to align by putting Polaris on the 2010 or the 2020 circle depending the time of day (or even further for lower still latitudes). See also the “Accuracy” chapter above. Newer phones have a gyro in addition to the accelerometer, which should be more precise, so you should leave the setting at “gyro”. However, I have had phones where the gyro failed (along with the WiFi on an iPhone 4S), so this option is a sort of “backup” for those cases. The magnetometer on all phones often requires calibration to perform accurately. To make sure you are getting an accurate reading, try waving your phone in a figure “8”. 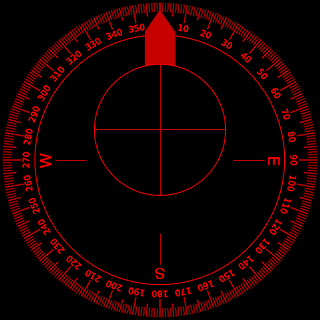 I have to warn you though that the accuracy of digital compasses varies significantly – I have found that it is usually better on newer iPhones than iPads for example, and in general a “classic” physical compass will be more accurate (as long as you apply the magnetic declination correction correction to the magnetic North heading of the compass). 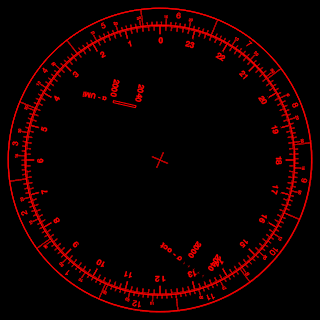 The compass in the bubble level automatically applies the correction and points towards the true North. I am using a polar scope that you don’t support. Can you add it? I probably can. Contact me with details, images etc. For mounts on which the Polar Scope view is always unobstructed (e.g. iOptron ZEQ25, CEM60 and also trackers like the Sky-watcher Star Adventurer), you can check to make sure your polar alignment is correct, while you are tracking an object. E.g. if I bump my scope a bit or the tracking seems a bit off in general, I can verify with a quick look through the polar scope, without even going back to the home position. Also, if you have a heavy scope on a light mount (as it is the case with my C9.25 on my iOptron ZEQ25) it is possible that there is some flexure that affects the polar alignment when the scope moves to a target. By correcting the polar alignment once you are on your target with Polar Scope Align Pro you can achieve longer unguided exposures in these situations. Do you recommend a specific iOS version and/or specific device? 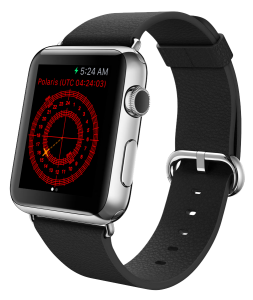 Polar Scope Align works on iOS 7 and up (iOS 9 for the Watch Version) and I do try to test with many iOS versions, so iOS version should not matter much. As for the actual device, the non-Pro version of Polar Scope Align that does not have a zoom screen is much easier to use on an iPad. The Pro version with the zoom view is great on an iPhone too, but the smaller-screen iPhones do look rather cramped. Also note that the wifi-only iPads lack a GPS radio receiver, so if you plan to use the app far from cell phone towers you’d need an iPhone or a wifi+cellular iPad. Also, the iPod Touch lacks the GPS received and also gyro and magnetometer (digital compass), so some Pro functionality that depends on it will not be available. How accurate does my location have to be? It doesn’t have to be very accurate, within a few km is fine, as Polar Scopes are not more accurate than that. 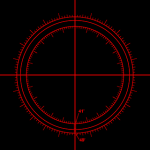 The more important issues are the correct centering of your polar scope reticle and having an app such as Polar Scope Align that does a good job of calculating the position of the Polar star. 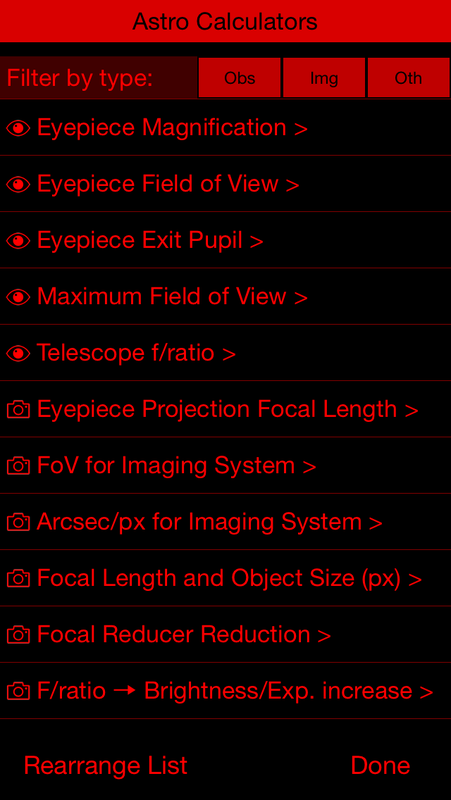 Why are there only 3 polar scope types (Inverted, Right Angle, Correct) in the Advanced Settings screen? You might have seen independent flip horizontal/flip vertical controls on other apps which give you 4 combinations of polar scope types based on their viewing type. Polar Scope Align only shows the 3 combinations that are actually possible in a polar scope, although the vast majority of polar scopes just has a 180 degree rotated view, or “Inverted” like looking through a straight-through refractor. In fact, when you select a reticle, the reticle-type is auto-selected so you should not change this unless you have a pretty non-standard configuration. What does refracted north / true north polar alignment mean? What’s the difference?hy are there only 3 polar scope types (Inverted, Right Angle, Correct) in the Advanced Settings screen? If refraction calculation is enabled in advanced settings, your polar alignment will be to the true celestial pole, i.e. the actual point in the sky the earth axis points to. 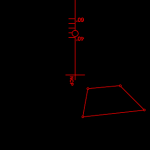 If you disable atmospheric refraction calculation, your RA axis will be pointing to the refracted pole, which is where the celestial pole seems to be after the atmosphere has bent the light coming from it. For objects high in the sky, which is what we usually target, an alignment to the true north will provide better tracking, especially in now latitudes – hence that is the default behavior. However, if we are aiming at relatively low targets which themselves are subject to refraction, it is possible that an alignment to the refracted pole (i.e. disabling refraction calculation) might perform better for those target. What is Clay’s Kochab Clock? If you click on the underlined name of the polar star on the main screen, you will get extended info on the star. Among this info, there are 4 times that mark when the polar star will be exactly N, E, S, W of the celestial pole. 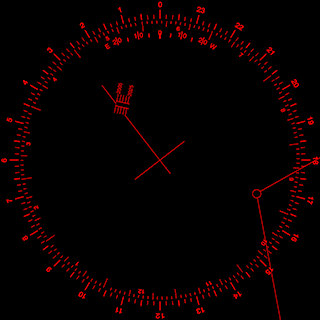 Clay’s Kochab Clock is an alignment method which uses the fact that the North Celestial Pole, Polaris and the star Kochab are along pretty much a straight line. 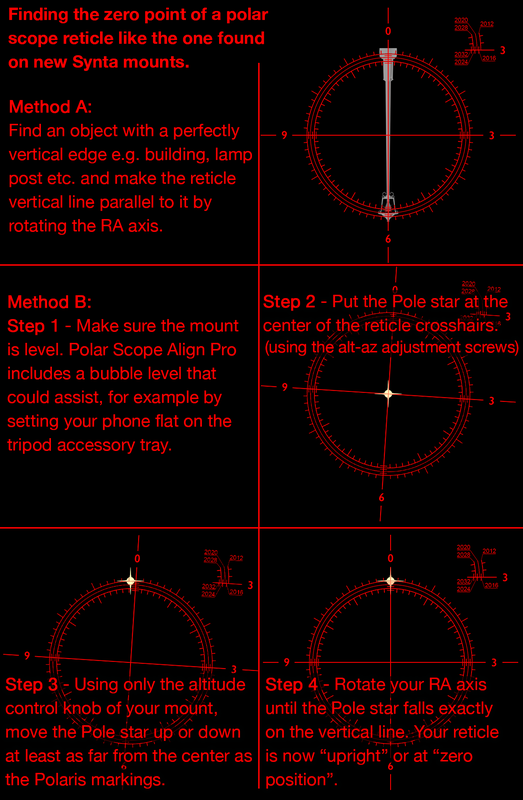 While that method is not as accurate as what Polar Scope Align normally attempts, inspired from that method the four times that can provide the easiest alignment for some mounts lacking RA grading/setting circles are listed. 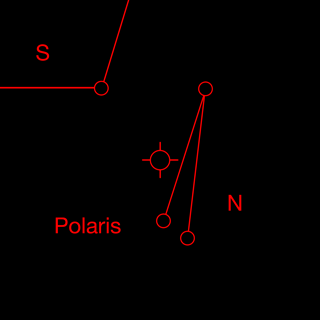 At the times listed for polaris directly N/S of the NCP, you center your polar scope on Polaris then use only the vertical controls of your mount to bring it to where the app display shows. Similar for the E/W times, you only use your horizontal controls. Of course this requires your tripod to be level, but takes the rotation of the reticle out of the equation. Also, this can be applied to South hemisphere alignment (unlike the full Kochab method). Why doesn’t the app always rotate to landscape? The interface was built to take advantage even the smallest screen and was optimized for portrait mode, so it will not fit an iPhone landscape mode. Hence, landscape is only available for iPads – and that only for the Pro version, as landscape mode is only really helpfull for Pro tools like Xasteria. Furthermore, the Bubble Level and the Daytime Alignment tool would be disruptive if they changed orientation while you were using them, so they are always portrait-mode. Lastly, the Settings screen requires a redesign to fit even on an iPad landscape view, which is so far not a priority. The original NGC/IC catalogs contained many errors when they were created (non-existent objects, duplicates etc). These have been addressed as best as possible. Objects that were listed but cannot be found do not appear on the DB. Objects that were listed more than one time get a single entry. Some objects are actually more than one, e.g. 2 galaxies that were thought to be a single one, these get a separate entry with a suffix. Also, included for completion, are some objects that should not really be in the catalog, as they were not actually seen when the catalog was compiled, but due to proximity/association commonly listed with an NGC number and a letter appended. Herschel catalogued a planetary nebula as two separate objects, so NGC2371 and NGC2372 are properly shown as a single nebula in the database and these two Herschel objects count as one. 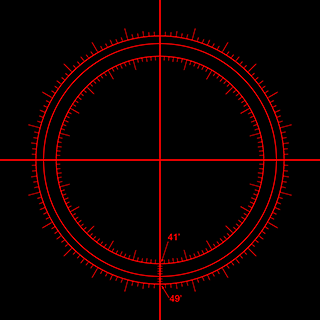 From version 3.5, after an upgrade of an existing app installation, Polar Scope Align will report the iOS version, and basic app stats about which reticle and which tools were used from the previous version. This data is of course completely anonymous and will not be shared (unless I make something like a pie chart to share with people), but will help me decide which features I should work on. The original reason for this report is to see whether there are iOS 6/7 users, as supporting those old iOS versions requires extra work. If you can save one place and time, can you save a few. In fact can you let me to have a simple file to save that as iTune download file (I can do apple programming, json Xml … But I guess normal user just use plain text). Not that important I guess. Hmm, I never thought of that, I don’t suppose it applies to many usage scenarios, but it would not be that hard to add. Although I have to first think of a way to make it simple/clear to use without messing up the UI. Great app! Would you be able to do a reticle for the astrotrac? Glad you like it. The app is meant to support polar scopes with reticles that are not rotated, but provide a grid for you to position Polaris. Unless I am mistaken, the astrotrac has the other kind, where you rotate the reticle (either by matching extra stars beyond the Polar Star, or by aligning date/time rings like the Tak EM200 etc) and such reticles are not supported for two reasons: big app change required and there is not much help an app could provide to users of such reticles (that’s their appeal I guess). Unless the astrotrac also has a reticle that does not align using stars so an app would be useful – in that case I would look at it. How can I use your software with my mount ? Version 2.0 just released has full support for the EM-200/400 polar scope. Any chance you can do this great app for android? quite a few members of my astro group use android phones. Hi. I am more of an Android user myself, so I will try to find the time to port it. Due to my work experience it was much quicker for me to write it for iOS (it started as a quick tool for myself) – as I’ve never worked on Android I will have to find enough time to go for it. I’m glad ’cause I found a very important for my passion , I wanted to ask if you can We add the mounts Neq6 SynScan , many thanks . It requires a bit different treatment because it rotates, but I will try to add it if find the time. Cheers. The just released version 2.0 should have the reticle you are using. Your faq says “the longitude offset that the Takahashi EM200/400 users have to calculate (from their time zone central meridian) is displayed when one of the supported Takahashi reticles is selected”. Where in the UI do I see this ? 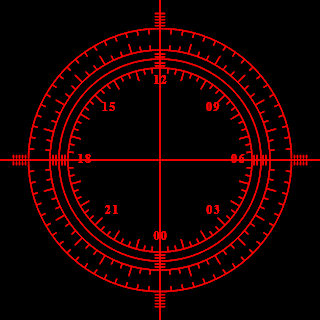 In the non-pro version it is above and to the left of the reticle. For the Pro, you will have to wait a few days (should be less than a week) for the latest version with many new features to get approved by Apple. The new v2.0 just released has full support of the EM-200/400 reticle. and the ISO, I don’t know what caused the problem. at the top. It always show something different. If you email me I can send you screen shots. Your help would be greatly appreciated, as I like this app. especially this feature. 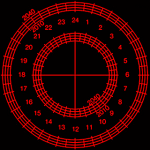 Already answered Ed in email, but in case anyone else wonders about it, the rotated reticle screen starts rotated as it would be if you were tracking an object with an RA of 00:00. Also, for German Equatorial mounts depending on your declination axis orientation, your polar scope might have an obstructed view, so this feature is primarily for iOptron ZEQ/CEM users. I also have a Synscan rotating reticle on the polar scope that came with my Atlas Pro mount. The design of the reticle has changed and no longer has the lollipop circle and pics of Ursa Major & Cassiopeia. It now resembles the Takahashi reticles. The only problem is there’s no constellation pics to line up with. Can your app help me to get a precise polar alignment? If I had an image of the reticle I should be able to help. Emailed you about it. I tested beta v2.04 last night and got a very close alignment by just using the polar scope and your app! A couple of weeks ago I had the same experience! The new Orion reticle combined with your compensation for atmospheric diffraction really works for me. It’s great to spend less time aligning and more time imaging! Hi, I have downloaded Polar Scope Align Pro on to my iPhone 6. I have a Takahashi Temma EM-200 2M mount. I notice that the Temma 200 reticle in the program for 2000-2030 is not the same as the one I have. Apart from calculating the offset correctly can I use this App to polar align my mount?? Hello David. The EM-200 uses a different style polar scope than the ones this app was made for. Since I did have some users ask about EM-200 I added the offset calculation, which seems to confused people instead of helping. So you’ll be happy to know that version 2.0 of the app properly supports the EM-200 & EM-400 polar scopes and is in fact finished and waiting for Apple review, so it could be less than a week wait. Sounds good…let me know when its available or will I keep checking the App store? If you want to try it earlier, I can add you to the beta test list. First love your app and it does certainly make polar alignment easier with my mounts. My only comment is on my Takahashi EM-200 (about two years old) my scope years actually go from 2000-2030. You screen goes to 2050 so I have to make the necessary estimate for the correct year. Any chance of adding a screen for that scope? I just got Polar Align Pro. I am using the Celestron reticle. I have Polar Align Pro set for inverted image. I also have SkySafari Pro. I have SkySafari Pro set for vertical flip of image. This should give me the same relative position of Polaris to the NCP as Polar Align Pro but it does not. Polar Align Pro seems to also be horizontally flipping the image. If I set SkySafari to flip the image both vertically and horizontally I get a close match with Polar Align Pro. The polar scope is straight through so only a vertical flip should be required. Why aren’t Polar Align Pro and SkySafari showing the same positions for Polaris when both are set for inverted (vertical flip) of the image? Hello. Refractor telescopes do not show a vertically flipped image, but an “upside-down” view which is what you get when you rotate by 180 degrees (which you can also get by applying both a vertical and a horizontal flip). If you were hanging from the ceiling looking through a straight-through telescope you would see everything “correct”. Flipping is what mirrors do. For example, if we use a diagonal mirror we can “flip” this upside down view I described, but then it will still be backwards (mirrored, left-right reversed). To avoid any confusion Polar Scope Align does not let you independently control horizontal/vertical flip, but only gives you the three possible combinations and auto-selects the right one depending the selected reticle. 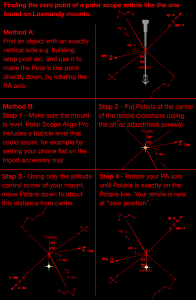 Have you ported your polar alignment software to Android devices? You mentioned that you were considering the port and I would appreciate an update on your port to Android. Hi. I still haven’t found the time for Android and my schedule is full for the next couple of months. I’ll let you know if that changes. Sorry. I’m comparing your app with the iOptron one and the do not agree on the position of Polaris. Your app says 7:56 and iOptron says 8:17.4 that’s quite a big difference. I’m at around 49 N and 124 W.
Polar Scope Align agrees with the more precise planetarium programs like Stellarium and Cartes du Ciel (depending on the settings you choose) please see above in the “Accuracy” section for more details. You can’t compare it to the iOptron app and most similar apps since those are a bit off either due to errors or not taking into account the effect of the atmosphere etc. Hi. Unfortunately the 7Timer! service that the app is using seems to be down at the moment. If it doesn’t come back up I will probably have to look for another similar service, but hopefully it is just a temporary glitch. but I REALLY need a Windows version….Please! as the only one of its kind! I am afraid it would be quite a lot of work, it is not easy to port from iOS to Windows. And if I have time (which I don’t right now), an Android port would take precedence I am afraid… However, if you have a Windows machine with you that works with the generator, you could also charge your iPhone/iPad. Polar Scope Align does not need cell phone service (if you have trouble getting the location without cell service tap “Force GPS” in Settings). In fact Polar Scope Align Pro does not even need GPS, you can input your location directly. How would I input my location directly? Using GPS coordinates obtained from other sources? I was told that newer iphones and ipads do not have GPS receivers and obtain location data through cellular tower triangulation. How does GPS accuracy affect polar alignment? Would plus or minus 30 feet be significantly different from plus or minus 3 feet accuracy? What would be the maximum GPS position error that could be tolerated for 200mm short (multi-minute) exposures? I am going to buy an ipad for no other purpose than to run your Polar Scope Align for IOS. It will run on all versions of IOS from 6 to 9, correct? Would there be any reason other than speed to prefer one IOS version over the others? Considering the importance of good polar alignment for portable battery powered unguided single axis astrophotography trackers, I and MANY others are in dire need of Polar Scope Align! I think your program is in a class by itself. Thank you! In the Location… screen of Polar Scope Align you can input your coordinates directly (the switch set to Manual Location), if you know where you will be beforehand you can get them from google maps (and store it as a favorite location). This is your “backup” in case you ever have trouble getting a location lock. It is not true that iPhones (and 3G-enabled iPads) do not have GPS radio receivers. The iPhones contain GPS radio since the iPhone 3G. In fact, since the iPhone 4S they also contain GLONAS radio which locks onto the Russian satellite network. In addition they have A-GPS which can also use cell phone towers for location. Since that method consumes less power, it is used most of the time (and also gets a location immediately, unlike GPS which can take over a minute for a satellite lock), however if you have no cell phone signal the GPS radio should take over. If you don’t see the GPS getting a location, try the “Force GPS” button on Polar Scope Align. For an iPad, you don’t actually need to sign up for cell phone service, it is just that the GPS chip is packaged with the cellular chip, so wifi-only iPads lack it. As for accuracy you don’t need that much, even a couple of km off will not give you a difference big enough to actually see on the reticle. In fact, the miscalculations of many other programs give you a Polaris position that is off by an equivalent of being hundreds of km away from your location! 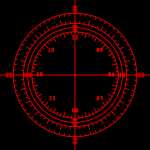 When you use Polar Scope Align which does a careful job of calculating the position the usual limiting factor is your polar scope and its reticle. As for iOS, I’d say any version from iOS 7 and up is fine. I have to do some tricks for the app to work on iOS 6 and it will work, but there might be some differences. 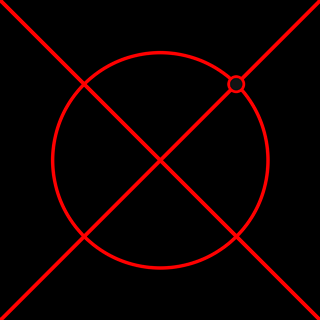 starting from zero where the iOptron reticle is marked 6, and proceeding in a counter-clockwise direction. 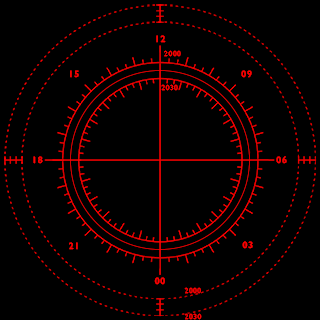 The iOptron reticle is labeled with CLOCKWISE numbers starting from the top, marked 12. If I renumber the reticle for 24 hours then I would be reducing the “resolution” by half making it less possible to accurately place Polaris, which is a big reason why I want to get your program. How would you compare the usability of Polar Scope Align on an iphone vs an ipad? I would think the larger screen would be a big plus. There is much discussion about polar alignment on AstronomyForum.net. I want to post a link to your program there and why I think its the best polar alignment program. OK with you? I’m am not sure if what Keith BC told me is correct. I was told that ipads and iphones do not have gps receivers by an older, seemingly authoritative, employee at the Apple Store here in Boise. Amazing how often I get wrong information from people who should know what they’re talking about. My app will show the Polaris position on any reticle you choose (14 in the existing version, 15 in the next) and on the lower left will give you the hour angle in the notation of the selected polar scope, so for the iOptron it will give you the 1-12 hours clockwise notation. 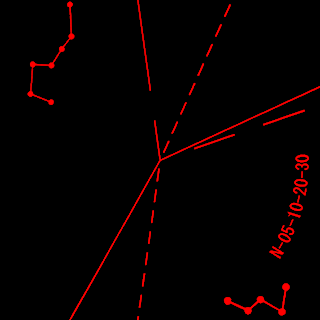 Above the reticle display, right from the “Polaris” label you will also see the local hour angle in the Stellarium notation. Keith is correct, you can get it from Stellarium and start counting from iOptron’s 6, but consider every 1 labeled hour to be 2 hours of the Stellarium hour angle. 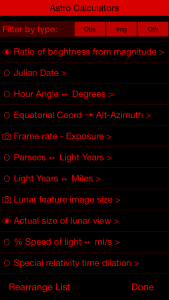 Stellarium does not compute stellar aberration, which is not a big deal as it is too small an effect, but if you want to see it matching Polar Scope Align you can go to the latter’s Advanced Settings and disable it (which – matching the Stellarium display – is the only reason you would disable it). The Pro version of the app has a zoom display so it is fine on an iphone as well (especially the larger iPhones), however I use my iPad for flat frames as well (turn on the light on Polar Scope Align and slide the color to white), so I usually run the app on that. I’d be happy for you to post a link to the app. I try not to “advertise” much myself since I don’t enjoy blowing my own horn much, but of course since I published it in the app store (originally it was just for me) I do want more people to know about it and use it. I don’t regularly post on astronomyforum.net, but you can find me under the handle ecuadorgr there. As for the other thing, well, the Apple “genius” despite the title is nothing more than a salesman, they have a salesman salary and salesman knowledge – these go hand in hand. For many many years now the high-end cell-phone chipsets include GPS (and recently GLONAS) radio receivers. If an iPad has a cell-phone chipset (meaning it is not a wifi-only version) it will have GPS (regardless if you even have cell reception or even a phone contract). You have done such a good job! I just bought the pro version and I’m going to test it on my Taka EM-11 and old EM-1S. Thanks! Love the app. I liked it enough to buy the pro version. I have an idea. 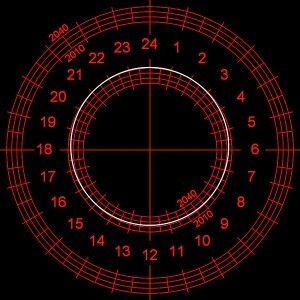 How about showing the NPC on a Telrad reticle? I know more than a few people with old telescopes that polar align using a Telrad by placing Polaris in the right place just inside the 2deg ring. Hi, glad you liked the app. Hmm, I guess I could add the Telrad, it is not hard, I hadn’t heard it being used that way. Perhaps mostly people with fork-mounted scopes? If you know someone who uses the Telrad that way and has an iphone/ipad, you could tell them to write me through the contact page and we could try it out. I can test it for you with my old C8. I’ve also used this method with old German EQ’s with out polar scopes. I first read about this method in Sky and Telescope mag in the 1990’s. I believe it was called the “Ralph Ford Handy Dandy Pole Finder. OK, Darren, I’ll mail you. 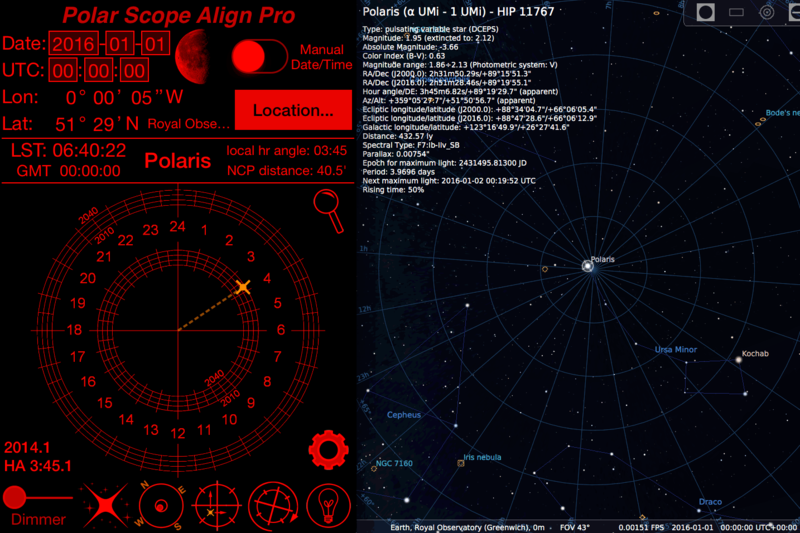 I have noticed in Astrotrac that the target for the Southern Hemisphere is Polaris and not Octantis. Hi Tim. 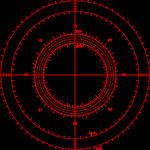 Unfortunately, the classic Astrotrac reticle doesn’t have a precision marking for σ Octantis, so there isn’t a way (at least that I can think of) for Polar Scope Align to help you further – the best strategy would be to use the reticle as intended, putting σ, χ Oct at the markings etc. This is also explained in the help (Reticle Help button). Perhaps it is confusing as it is and I could add the σ Oct “cross” even if I know that it will offer no real improvement in accuracy for users. I’ll see about that, but, in reality as I said I don’t see a way for Polar Scope align to really help with an Astrotrac down under. I know you guys have it tougher than us at polar alignment (I hope the Magellanic clouds and Tarantula make up for it!) and if you have an idea of how you could be assisted by Polar Scope Align, do tell me. I haven’t tried polar aligning with σ Oct, but I assume an app showing you you have to put it in the cross, is not very much help, you already know that, right? Sorry, I do not connect my iPhone/iPad to the polar scope, Polar Scope Align does not work like that. Sorry, but Polar Scope Align does not connect to a mount. 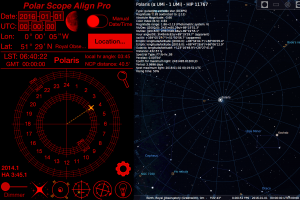 It is a tool to use your polar scope visually with greater accuracy (although the Pro version does have some features that go beyond that task). Unfortunately the 7Timer! service that powers the weather forecast part of the app is down for technical reasons. Since it will be inaccessible for a while (the problem is not in the direct control of the 7Timer! people, so they can’t speed up the process), I am adding a temporary link to an alternate weather report. 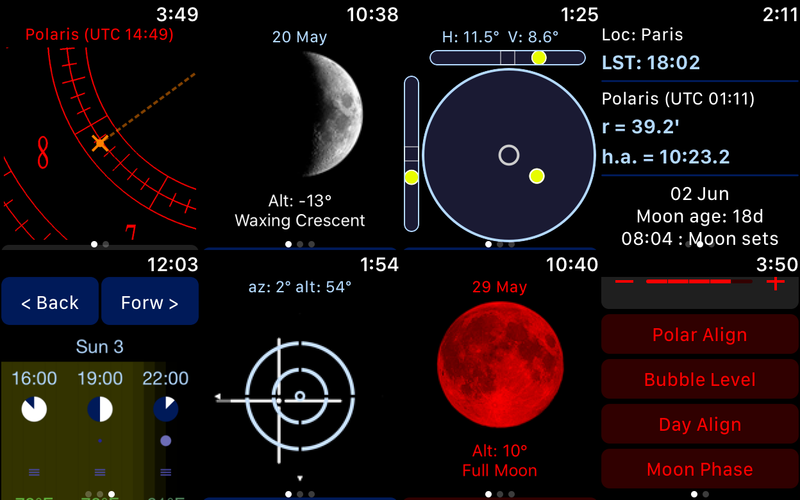 This already works for the stand-alone Xasteria app, and it will be included in Polar Scope Align Pro 3.1 (probably next week – it is currently being beta-tested as it has several new features). Thanks for the feedback. One other person told me the same thing last week, but I’ve been away on an eclipse trip, so expect a fix in about a week. Glad you enjoy the app! Thanks for bringing this to my attention. I really don’t understand why Apple keeps changing the way app store links are supposed to work every 1-2 years, it is maddening! Hopefully I fixed the links and they’ll work for quite a while! I got it now – thank you so much – great app!! 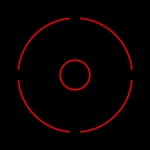 Can you add the LighTrack II reticle? Thank you very much. Hi. From the Fornax website I see that the LightTrack II comes with the SkyWatcher HM5 polar scope, which is already supported (listed as Orion / SkyWatcher 2012-2032 in the app). If you have a different reticle, I would be able to add it if I had a good image. Thank you for the quick and helpful reply! I just found this page. Is their an Android version in the works. Wow you have put together an incredible software package. Hi, how i cagne timezone from gtm +2 to gtm+1? I have a pro version of ps aling pro. Hello. The app uses the time zone of the device (and also UTC – you can make that the main display if you go in advanced settings). So to change from GMT+2 to GMT+1 you would have to go to your iPhone/iPad settings. Don’t forget that daylight savings also affects the time – for example, Italy is GMT+1 in the winter and GMT+2 in the summer. Great app! Wonderful features and functionality. 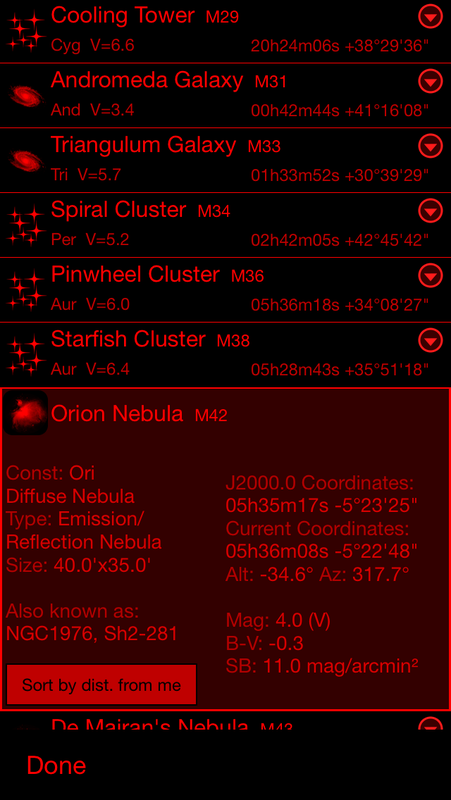 Curious if you would be able to update the polar scopes to include Orion’s new Global Reticle. It’s being used as a stand alone Pro Polar Axis scope and also built into the Sirius and Atlas Pro mounts which are two of the most popular go-to mounts available in the mid-range price point. Thanks for the support! I’m not sure what the Global Reticle is Ronnie – a quick search didn’t return anything that seems relevant, can you provide me with info on it? I have a Pro copy of your fantastic application. Is it possible to work with PS Align in South Hemisphere? And if the answer is yes, what changes has to be made on Settings? Hi Liam, that’s in my FAQ above, unfortunately, while I am an Android user I am not an Android developer, so there is no current plan for a port. It is a common request and if I happen to find the right Android developer to work with it might happen, but it is not that likely. Apologies. The instruction on this page is wonderful. I just bought a Tak NJP Temma 2 and will test it with the pro version app. Thanks and please keep the good work! Thanks. Hope you enjoy your new Tak!